It’s difficult to come up with ideas for fun and unusual team building activities for work, right? When the hunt for ideas for great activity days out for adults is on, the challenge is to find something that all ages and abilities can comfortably enjoy. 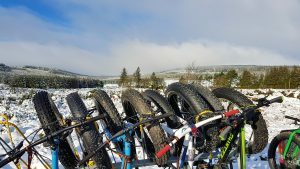 It’s time to consider Fatbike Adventures! Fatbikes are ‘Omniterra-Go-Anywhere Bikes’ and are the only bikes that can ride on beaches, bogs, mud and snow – soft terrain places that no other bikes can go. Our electric fat bikes are a great option for those in need of a turbo-boost, no one gets left behind and everyone has great craic. 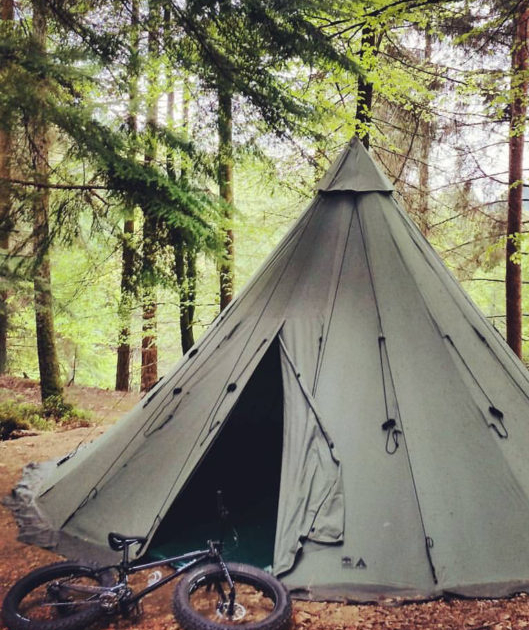 If you need stag party ideas that haven’t been done a hundred times before, if you’re looking for hen party activities for your bestie’s bash, or simply just a bunch of mates getting together for a catch up and some banter, a Fatbike Adventures package might just be that thing you’ve been looking for. Please contact us for further information on other activities such as bushcraft, axe throwing, old school fire making and loads more. Minimum 4 people and maximum 30 people. No one gets off a Fatbike without a big silly grin on their face. Remember that buzz you had when you learnt to ride a bike for the first time? Fatbikes bring back the buzz – for everyone, every time! 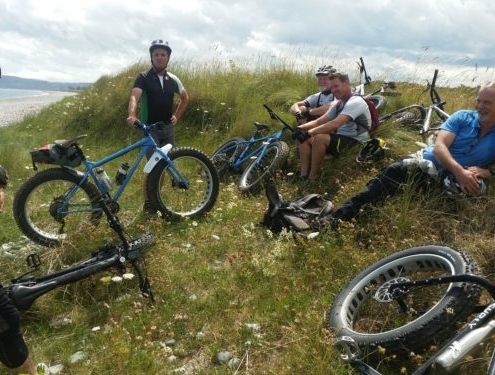 Travel from Dublin to Wicklow by DART, train, bus, taxi or car and choose from any one of our guided bike tours. 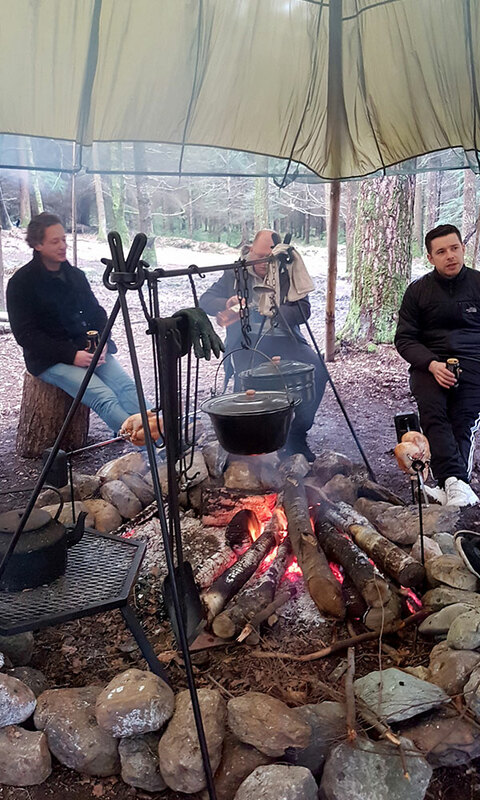 We can also include bush craft, axe throwing and other activities as part of your time with us, so just ask if you have any special requests! 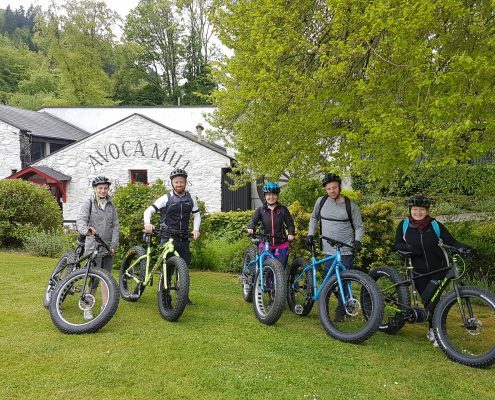 Fatbike Adventures – for anyone seeking authentic, outdoor activities in Wicklow, with a dose of fun guaranteed!